Librarian David Kirk, in his former role as director of the Media Center, applied his love for and deep knowledge of film and film studies to help build a broad and deep collection with special strengths in ethnic studies, gender studies, as well as Asian and Latin American films. 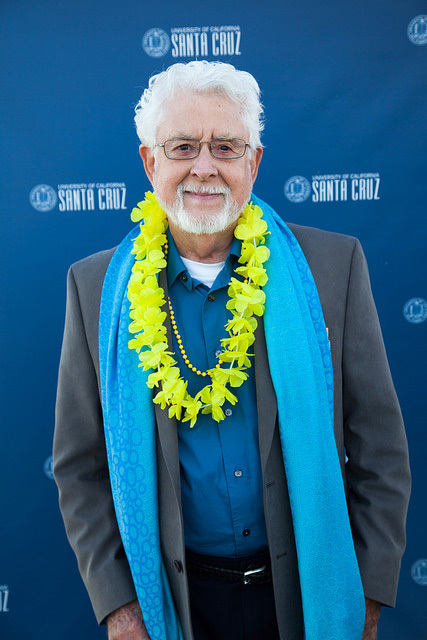 His gifts to the University Library in support of film studies, the purchase of films, the Media Center itself, and Gay, Lesbian, Bisexual & Transgendered Studies have made and will make a long-lasting impact on the lives of members of the UCSC community. See "A love letter to McHenry" for more information about David Kirk's legacy at the University Library.